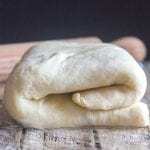 A simple Yeast Bread recipe. 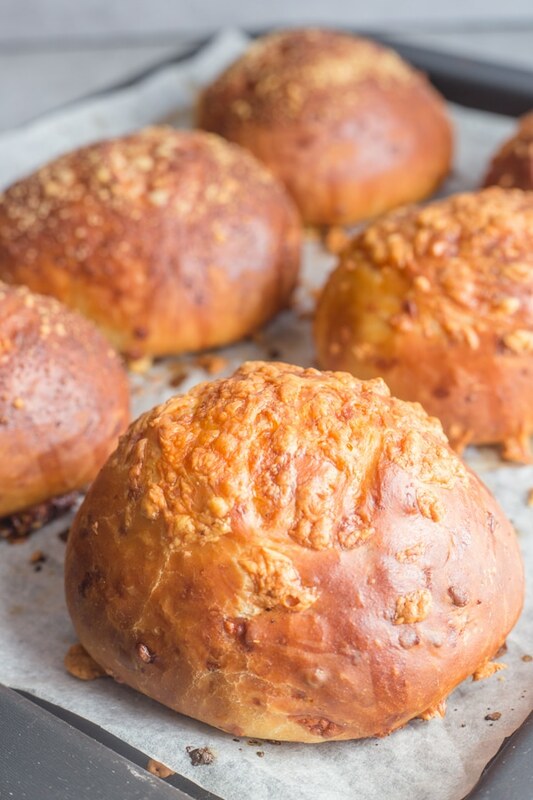 Not only are these Homemade Double Cheese Buns topped with Cheese but the dough is also kneaded with more cheese, which makes these Cheese Buns soft and delicious. The perfect sandwich or dinner roll addition. When I first came to Italy I have to admit I really missed Cheese Buns and Bagels. But in the last 10 years I have loved making yeast breads, and both Bagels and Cheese Buns have found a place on our Dinner table. When I worked in Toronto, I would sometimes buy Cheese Buns, I loved what a delicious sandwich bun they make. I have no idea. 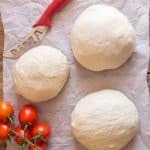 I really like making my own Pizza Dough and my No Knead Bread are always a hit in my house. But anyway I did make them and they are way better than I remember. Because some of the cheese is worked into the dough which makes helps make these the softest buns. Nothing tough about these gems. I think yeast dough has gotten a bad reputation, it really isn’t so difficult! Actually I find it very relaxing. It is something you never need to rush, even if you let the dough sit for an hour or two extra like I did today, no problem it’ll wait. Try doing that with cake batter! And the truth is there is nothing quite like fresh Yeast Bread from the oven. 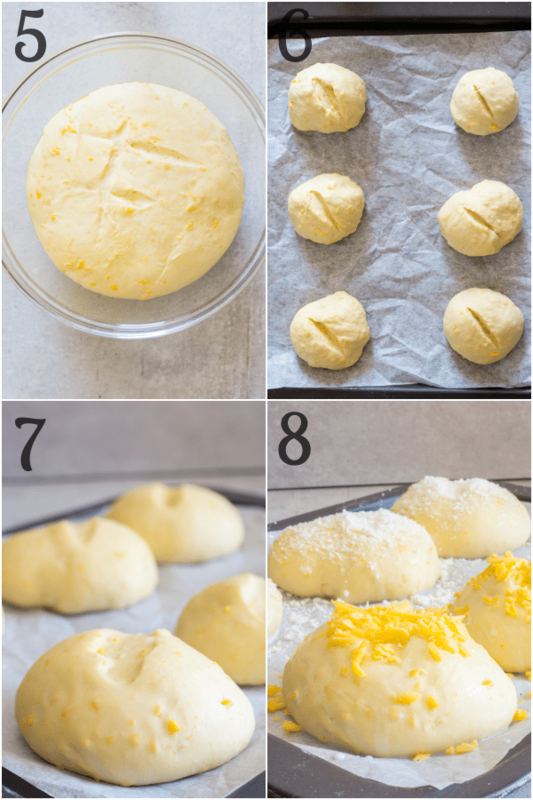 When I make these Cheese Buns, I usually use an Italian Provolone, the medium/mild cheese not the spicy kind (although that might not be such a bad idea! ), and to be honest it is a fantastic cheese to cook with, you should give it a try. If you can’t find Provolone then a medium cheddar is a good substitute and of course I couldn’t leave out my all-time-favourite Parmesan cheese. You could probably also use Swiss, or a creamy Italian such as Fontal or even a firm Mozzarella, or why not just experiment with your favourites? 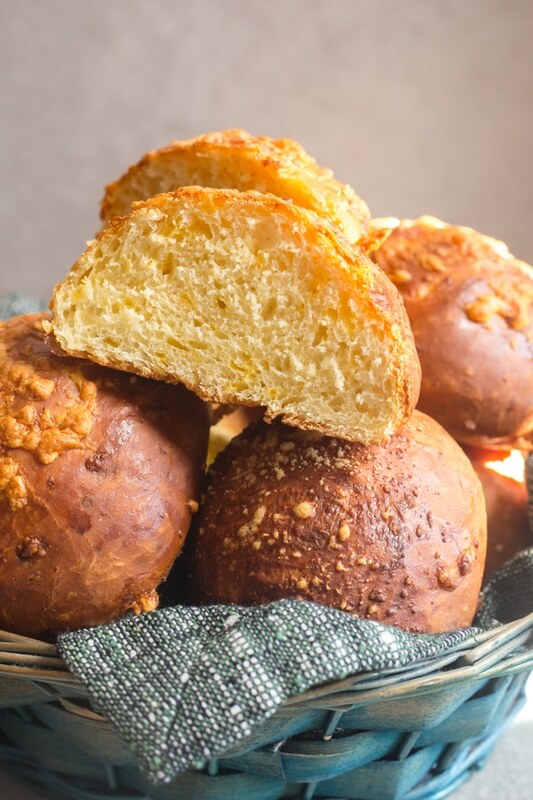 I have to say this has to be one of the easiest doughs to pull together, These Homemade Double Cheese Buns may call for a few extra ingredients but it is basically mixed together in one bowl. Make sure your yeast is fresh, in a small bowl add 1/4 cup of warm water then add 1 teaspoon of sugar and 2-1/4 teaspoons of yeast. Wait 10 minutes. If the mixture bubbles, then the yeast is still good. Make sure your water is warm, not hot and not cold. Cold water won’t activate the yeast and hot water will kill it. The perfect temperature for the water is 110-115F (43-46C). If you hear a hollow sound when by tapping on the bottom of the bun then you will know the bread is done. Believe me you need to make these and there will be no going back to store-bought cheese buns. Enjoy! 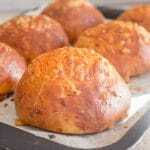 The Best Homemade Double Cheese Buns, easy and perfect anytime, loaded with Provolone/Cheddar and Parmesan cheeses. No more store bought. 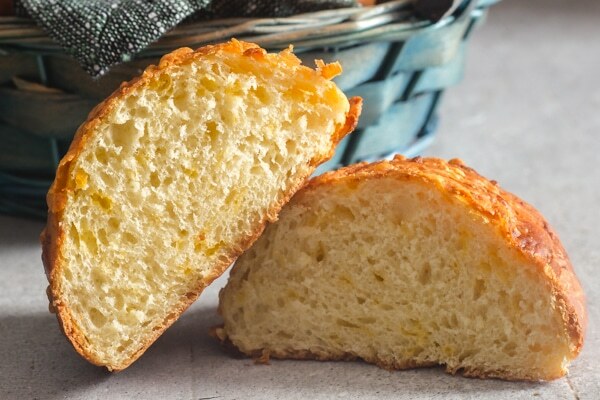 In the bowl of a stand up mixer mix add the flour, salt, sugar, olive oil, 3 tablespoons Parmesan cheese (20 grams) and yeast then add a 1/4 cup of water (58 grams) then start to mix with a fork. Then add the beaten egg, remaining Parmesan cheese and Provolone and remaining water. Combine with a fork just until the dough starts to come together. Then add the dough hook attachment and knead for approximately 5 minutes or until smooth and elastic. (see below for hand kneading instructions). Remove dough to a lightly floured flat surface. Form the dough into a ball, place in lightly oiled medium-sized bowl (make a couple of slashes on top with a knife). Cover well (I use a folded tablecloth) and let rise in a draft free area for 1-2 hours or doubled in bulk. (mine actually sat for 3 hours). 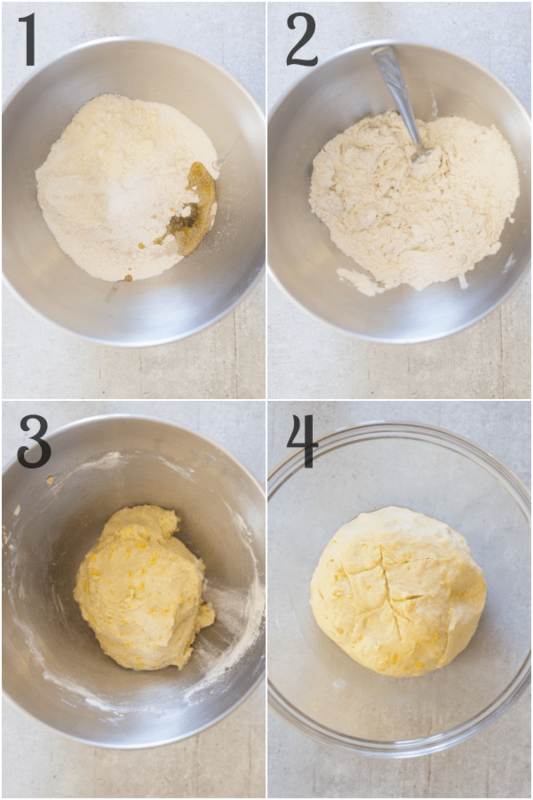 Remove the dough from bowl and on a lightly floured flat surface knead dough a couple of minutes, shape into 6 bun shapes, score with a knife and place on a lightly oiled parchment paper lined cookie sheet, cover and let rise for 1 hour. Brush buns with milk and sprinkle with additional Parmesan cheese or grated Provolone. Bake for approximately 30 minutes. Let cool or eat warm. Enjoy! Place 1 tablespoon of flour on flat surface, place the dough, start to knead, add 2 more tablespoons of flour, one at a time while continuing to knead. Knead until smooth and elastic. Updated from May 22, 2015. This recipe is perfection. 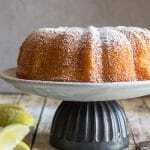 Easy to make with a fabulously tasty result. Bravo! Hi Thomas thanks so much, I just remade them myself with new photos. 🙂 Have a great Sunday. These look so soft and delicious. i don’t recall ever having one??? That’s going to change soon and I know they will be a hit with my kids. They certainly look delicious! We do make several kinds of cheese rolls but not this type of cheese buns. This will definitely be on our make list. You have to try bagels! They are so much fun to make. We NEVER buy store bought — we make our own and they are on our list monthly. 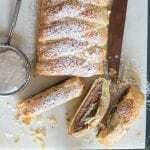 We add different kinds of dried fruits but you can make them plain or fancy.